On April 12, 1945, Second Lieutenant Masashi Ōhira took off from Chiran Air Base and died in a special (suicide) attack west of Okinawa at the age of 22. He was a member of the 20th Shinbu Special Attack Squadron and piloted an Army Hayabusa Type 1 Fighter (Allied code name of Oscar). After his death in a special attack, he received a promotion to Captain. He was from Shirakawa City in Fukushima Prefecture, attended Hōsei University in Tōkyō, and was a member of the 1st Class of the Army Special Cadet Officer Pilot Training (Tokubetsu Sōjū Minarai Shikan) Program. Fukuko, for a long time you did your very best as a person who wanted to care for me. I was happy. There was not such happiness in my lifetime. I am quite happy. I am happy. Locking away in my heart the memory of this happiness, I will aim at and instantly sink an enemy ship. Please follow well the things that I told you up to now and raise Shunichi to be a fine child. To me you were a wife who was superior. You were a wife who was too good for me. At the end, I am thankful. I did not know a woman except for only you. I feel like you alone who I sheltered for a long time were the woman for me in all the world. I believe that your feelings are the same as mine. Please keep your virtue until the end. I also kept it until the end. The reason is that virtue is the most important thing for a woman. Afterward, please stick to my parents and do well for them. Take good care of yourself. I relied on you for Shunichi. I relied on you for Shunichi. Forgive the misfortune of my going before you. You have cared for me for a long time. It is regrettable that I will leave without having been able to do anything for you in the more than 20 years since I was born into this world. From the ancient past, persons were told to leave a scratch on the Earth so that there would be one unique place that they would leave behind. What I leave behind is only that I truly regret my lack of filial piety. What must one say about such a pitiful person? However, I will eradicate this dishonor in a single blow. Father, I am a fortunate person. I have found a place to die. I surely will die here. In my heart is only certain death and sure kill, and I certainly will carry it out. I will accomplish my mission. As an Imperial military man, I will fall splendidly in my mission. I request that you handle things after I die. Fukuko and Shunichi, instead of me, will show filial piety to you after I die. I promise only this. I believe that this surely will make amends. Father and Mother, please treat Fukuko and Shunichi only with love more than me. Facing death, I request only this. This is the last selfishness in my life. Please grant this without saying anything. If seen by a third person, he may think that perhaps it is my past where I was before. Despite this, I have confidence that there was no happier person than I was in this world. In any case, please take care of them. Fukuko also probably is lonely. As for making the request, there are only you Father and Mother. I want you to understand what is inside of my heart. Without fail let Shunichi give help with my mortuary tablet. Father, I request that you handle Shunichi's education expenses. Please raise him to be a fine person beyond me. I think that it is not possible for Fukuko to raise him excellently all on her own. If it could be, I have absolutely nothing to support them. For her to do it all on her own frugally would be hopeless. I am depending on you. With my death in battle, I ask you to register officially Fukuko and Shunichi as family members. They are my wife and child. To you Father and Mother, they are your daughter-in-law and grandson. However, since you are humans, I think that you will not abandon them. I can die feeling assured. To my younger brothers and sisters, I request that they study as hard as they can and become fine persons. Whether they do it or not, there is only one heart of parents. When Older Brother returns home, please tell him clearly what is in my heart. Older Brother certainly will understand what is in my heart. However, please find a bride for him so that the fine Ōhira Family may have an heir. When I say only this, there is nothing more at all to say. Father and Mother, going shortly before you, I will be waiting for you in that world. I will later listen leisurely to your stories after this time. Finally, I pray for the health of you first and everyone. I pray for the prosperity of the Empire of Japan and for a very long existence for the Ōhira Family. I perhaps can return home one more time. I am adding to my battlefront diary that I sent to you the other day. Even though I made a sortie in high spirits and went to near the island of Iōjima , there was a signal from a Type 3 Fighter. I understood that there had been a change in enemy movements, so I returned to base. How I have not been blessed with battle fortune. Recently I have become familiar with the staff officers. They listen to everything that I say. What gracious things. They are all about the profound techniques of Captain Hasegawa , and some brought them to tears. There was a sortie again, and it was bad weather. My skill was insufficient. Even though I went as far as Mount Kaimon, there was completely no visibility. I returned to base again. Wondering whether I was a bad person at the occasion of death, I deeply hate myself. Father, Mother, and Fukuko, please forgive me. It was all bad weather. It is not that I alone was bad. With consecutive days of rain, I rested without any hurry. I rested to the point where my back hurt. I was absorbed in reading. They say that Captain Hasegawa already died in battle, but there is not yet a definite report. On these days there was a variety show in town for comfort of the special attack squadrons. This was my last enjoyment to view. I went to Nyūtabaru Airfield  to contact them. We had a farewell dinner party with the maintenance unit men. I had an absolutely good feeling. Ah, I was drunk. I was completely drunk. Tomorrow is the sortie. Tomorrow is my first battle with a military sword……in high spirits a cherry blossom will fall. I am in the Special Attack Corps of the skies. Father, Mother, and Wife, tomorrow there will be the actual departure for battle. This will be the end. Please be in good health. With one plane for one ship, I surely will take care of 3,000 men. I certainly will kill them. Fukuko, I will not give you trouble. For me there truly is no excuse. As a man it is truly difficult. However, I believe that you understand my feelings. Even though I die, do not cry. Absolutely do not cry. You are a military man's wife. You are a military man's wife. Cry for me in your heart, in your heart. Even though I die, my spirit will be eternally in your heart. Certainly in a distressing time, I will assist you. You should have peace of mind. I rely on you for Shunichi's things. I surely rely on you. Please bring him up to be a good child. Certainly please raise him as my boy. I do not want to give you to anyone. Please always remain single. I only pray that you carry through as a divine eagle's wife. I always believed what you said. I ask that you handle things afterward. I request you to show filial piety to my parents for my part. Be in high spirits. As chūtai (squadron) commander, I will hasten to the battlefield accompanied by OO  aircraft. It will put the Emperor's heart at ease. I recorded this at 23:00 on April 11. I think that in Shirakawa it is the time when cherry blossom buds have started to come out a little. The cherry trees at Shiroyama and Nanko  and all of the natural scenery in my hometown are remembered fondly. It is the season of early summer in the land of Chiran. Everywhere the voices of cicadas can be heard. They are just like the lively send-offs at our departures. The Chinese milk vetch flowers also have fallen completely. Probably the Ōhira countryside has become beautiful with a little bit of Chinese milk vetch. Many persons enthusiastically adorned us with flowers. They adorned us beautifully. The noise of engines is thundering like every day. It is to the point where my ears hurt. Today I am a shark for my flight. Moreover, it is the end of my life. I have no regrets. I have recorded already all of the things that I had to say and the things that I wanted to write. Finally, as a shark please give me good food. Certainly give me something big. Please take care of matters that I have written down up to now. Especially, please first officially register Fukuko and Shunichi as family members, and please treat the two of them with love in the same way as me. This is my request as I face death. Fukuko and Shunichi, in place of me please do your best to show filial piety to my parents. You must be persons who are not talked about behind their backs. I am totally disappointed that it has been only fish every day in the half month since I came here. Each day what I wanted to eat and I wanted to eat was something made of rice-flour dough. I wanted to eat that delicious pickled napa cabbage. At least please decorate the Buddhist temple with them. Please give my regards to the relatives and Kawakami. Take good care of yourselves and enjoy good health. I request that you take care of Fukuko and Shunichi. Fukuko and Shunichi, be in high spirits. Farewell. I am stopping writing at 10:00 on April 12. The sortie is at 12:00. I will be sinking instantly an enemy ship at 15:00. That day will be the day of my death. Masashi Ōhira's day of death is 15:00 on April 12. The letters come from Chiran Kōjo Nadeshiko Kai (1996, 26-33). 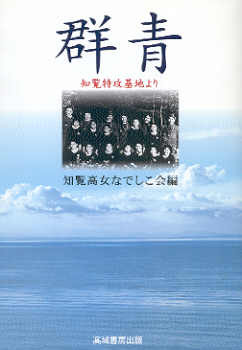 The biographical information in the first paragraph comes from Chiran Kōjo Nadeshiko Kai (1996, 26), Chiran Tokkō Irei Kenshō Kai (2005, 163), and Osuo (2005, 195). 1. Iōjima is 110 kilometers south of the southern coast of mainland Kagoshima Prefecture. 2. Captain Minoru Hasegawa, 20th Shinbu Squadron Commander and graduate in the 55th Class of the Army Air Academy, died in a special attack after a sortie from Tokunoshima on April 2, 1945 (Chiran Tokkō Irei Kenshō Kai 2005, 165). 3. Nyūtabaru Airfield was a Japanese Army airfield in Miyazaki Prefecture. 4. OO indicates information that was a military secret and could not be included in the letter. 5. Shiroyama Park surrounds Komine Castle in Shirakawa City. Nanko Park is next to Nanko Lake in Shirakawa City.